It has to be tempting for companies who hire temporary workers for the holidays to skip or cut back on the background checks. After all, these workers are part of the extended workforce whose economic value is that they have lower on-going costs to the company. By definition, there is no long-term obligation, so why make the investment in screening? Actually, there are some good reasons to think twice about skipping this step of the hiring process. And luckily, there are some easy ways to make screening of temporary workers easy and affordable. A risk is a risk. The fact is, temporary workers carry the same sorts of human risks as regular full time employees, and perhaps even more. Your basic rule should be this: Perform the same pre-employment background check on every person you hire for a specific job or role, whether full or part time, and even for temporary seasonal jobs. The relevant risks to your organization stem from the characteristics of the job. Does the job allow direct customer contact? Does it provide access to inventory? Does it require operating machinery? Does it provide access to cash? These potential sources of risk exist whether or not the occupant of a job is a regular full time versus a temporary employee. The exact design of your background screening process will be determined by these job characteristics, not by the job status of the occupant. Although you should not skimp on or even skip screening temporary workers, there is a way to minimize the costs. The most efficient way to background check your temporary holiday staff is to work with a professional background screening company with a system that allows you to put the bulk of the data entry chores directly into the hands of the job candidate. For example, applicants can interact with an online forms-based tool to enter their required information and provide consent. Then, the screening company can do the work of researching the applicant’s background and alerting you when the background report is ready for your review. Together with you, we define the services necessary to capture data on job-relevant dimensions. We set up an online interface to collect your applicant information. From your secure online dashboard you enter the contact information for each applicant or contractor to be screened, and the system emails that person a link to the applicant interface where they will complete the necessary forms. We run the appropriate background checks and report back to you through your dashboard. You make final hiring decisions based on the resulting information and other hiring criteria you may have. This process allows you to get accurate background information on a large number of applicants in a short period of time. 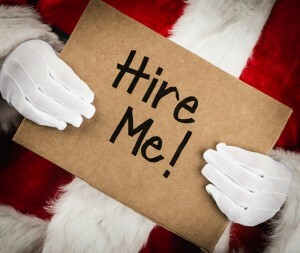 More importantly, it helps to guide hiring decisions and onboard the workers who will help your company succeed during the busy holiday timeframe. Learn more by consulting with a Proforma Screening expert or open a background screening account today.